President Vladimir Putin has reassured a group of international journalists that athletes and spectators would have no problems at the Sochi Olympics in a discussion dominated by questions on Russia’s “gay propaganda” law and security. 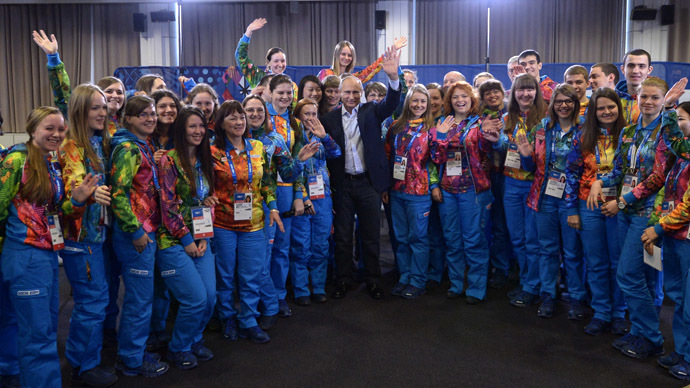 While visiting Sochi ahead of the Winter Games, the Russian president shared his vision of the coming Olympics with journalists from America’s ABC News, Britain’s BBC, China’s CCTV, and the IOC’s own Around the Rings agency, as well as with Russia’s Channel One and Rossiya-1 TV channels. “None of the guests of the Sochi Olympics will have any problems,” Putin said. Despite Putin saying that the Olympics were meant to “depoliticize the most pressing international issues,” the majority of questions he had to answer dealt with politics, with much of the interview time being devoted to dispelling fears that LGBT visitors to Sochi would face any discrimination. 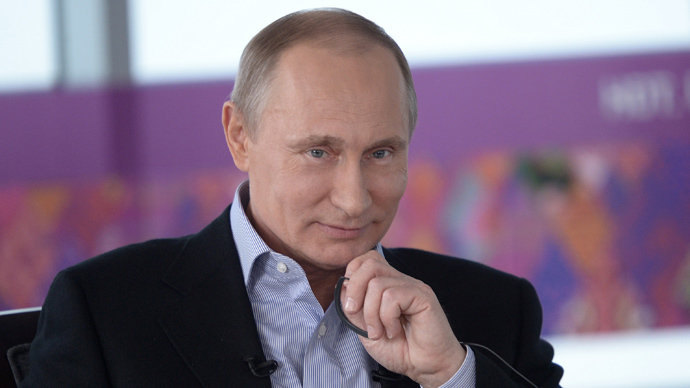 Putin reiterated that LGBT community representatives were absolutely welcome in Russia. Putin said the critics of Russia’s recently passed law on banning propaganda of “non-standard sexual orientation” aimed at minors, should read better into the wording of the bill’s text to find out a “world of difference” between what is said there and infringement on the rights of gay people. Putin said he was perplexed by the fact that while homosexuality was a criminal offense in 70 countries around the world, Russia, where it was not, there were attempts to give Russia the reputation as the most anti-gay country on the planet. “Homosexuality is a criminal offense in 70 countries… It is still a criminal offense in some states of the United States, for instance in Texas, and may be in other three states,” Putin said. “Why does nobody speak about this and why do they speak about us, though we do not have criminal liability for this?" 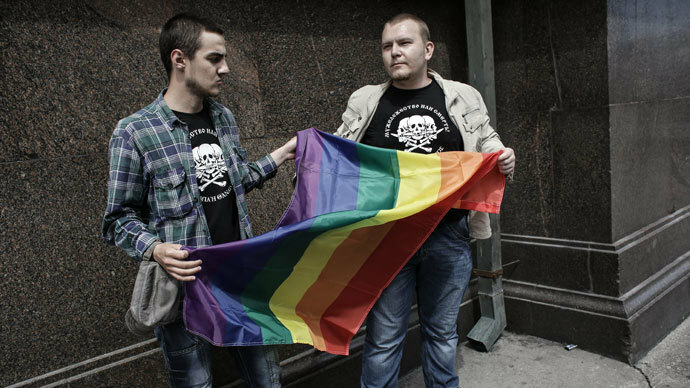 As for the Russian Orthodox Church’s calls for reintroducing criminal liability for homosexuality, Putin said that the state was separated from the church and had a different approach to the issue. In the wake of the two terrorist attacks that rocked Russia’s southern city of Volgograd in December, resulting in 34 deaths, the issue of ensuring security for the Winter Olympics has become particularly acute. A total of 40,000 law enforcement and security personnel will be employed in the Sochi area for the task, Putin said. He added the country already had successful experience in providing security for big international events it recently hosted, such as the G20 and G8 summits. During the Winter Olympics, Russia’s security forces will cooperate with their foreign counterparts, Putin said. The president would not go into much detail as to what security measures exactly would be like, but promised they would not be as conspicuous as Patriot missile launchers on the roofs of houses, as happened during the 2012 Summer Olympics in London. The Russian president said the country’s security agencies knew well “what the threat is” and “how to stop it,” but said it would be unwise to underestimate the seriousness of the situation. How much are the Olympics? Vladimir Putin said the overall cost of the Olympics was 214 billion rubles ($6.5 billion), dismissing the allegations it was close to 10 times bigger. More than half the money spent was private capital, the president explained. 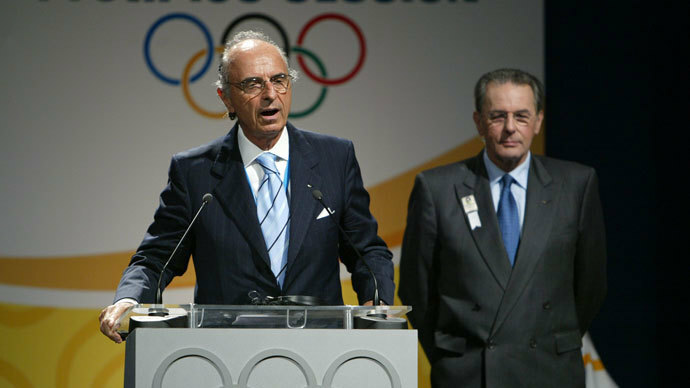 He also rejected claims that billions of dollars were plundered during the preparations for the Olympics. Those were earlier in January voiced by International Olympic Committee (IOC) member Gian-Franco Kasper. Putin admitted there were some minor corruption scandals several years ago, connected to the construction. “There were cases, I have already said about it, some years ago local officials tried to trade land designated for Olympics venues. An investigation was conducted; people were convicted by the Russian court and are serving the sentence,” he said, while adding he knew nothing of large-scale instances of corruption and calling on those who speak about them to support their allegations by evidence. Problems with missed deadlines and construction work bigger-than-expected price-tag were, according to Putin, natural at “the largest construction site in the world,” which Sochi has been for the last several years. Some of the sporting venues created are the best in the world, he said. The president stressed that he wanted the benefits reaped from the investment into the region to go far beyond merely the profits from the Games themselves. With 40,000 newly built hotel rooms, as well as with the new roads and utilities, the Sochi region could, according to the president, finally become a viable alternative to the Turkish resorts that millions of Russian tourists have in the last few years preferred to their own country’s Black Sea cost. 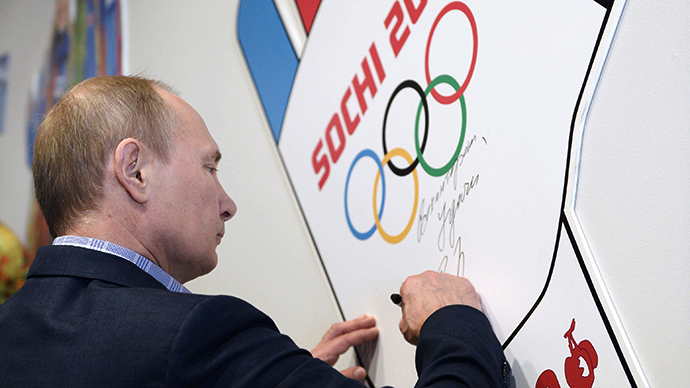 Putin expects the Winter Games to pay out not only in terms of economics. The president believes the Olympics are a good chance to “strengthen the morale of the nation” as well as to improve the attitude toward Russia abroad, erasing some old stereotypes.